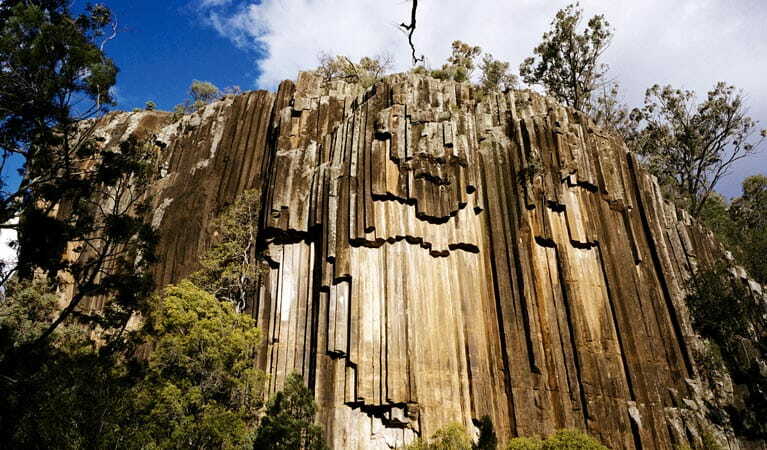 See the Sawn Rocks rising out of black soil plains as you walk along Sawn Rocks walking track in Mount Kaputar National Park, soak in the hot artesian baths of vast Pilliga Forest and scale the weathered volcanic spires of Warrumbungle National Park. These national parks offer countless walking trails, as well as picnicking, camping and birdwatching opportunities to get up close to nature. The Gamilaroi Aboriginal People have been a part of this place for many millennia, and you can learn more about their connection at ancient rock art and cultural sites. 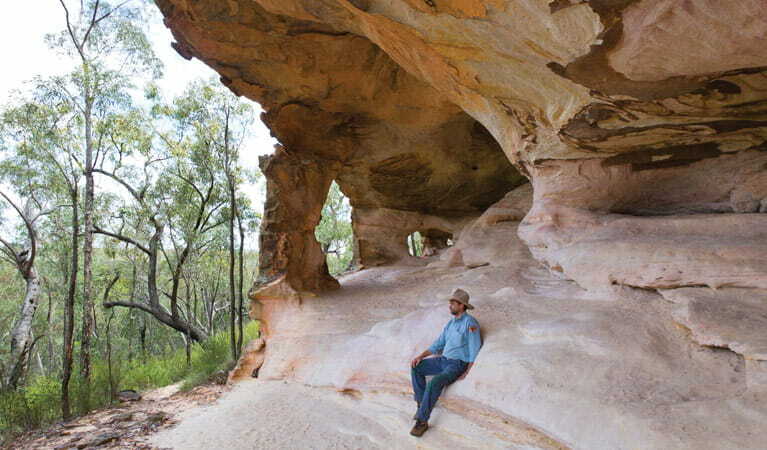 Explore Sandstone Caves walking track with an Aboriginal Discovery Ranger and see the Sculptures in the Scrub exhibition, which reveals the cultural history of Pilliga. At night, your accommodation options range from well-equipped campgrounds to basic and comfortable cabins. It’s half an hour’s drive east from Narrabri to Mount Kaputar National Park, where lookouts offer great views of the towering forests and prehistoric rock formations. 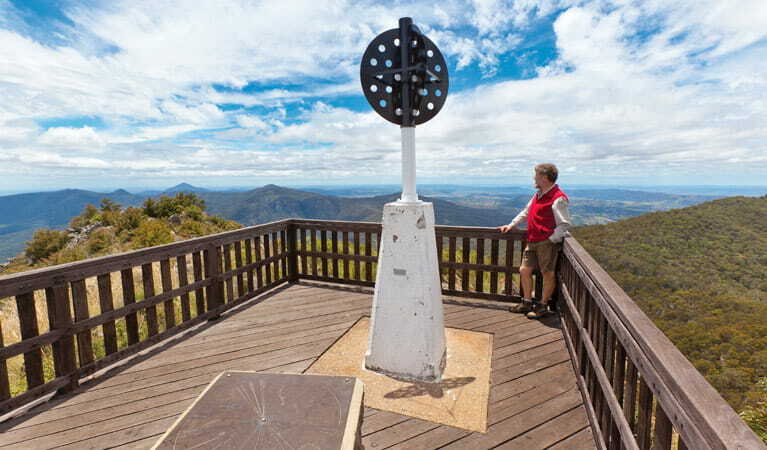 Climb to the top of Mount Kaputar along Mount Kaputar summit walk and see the mountain’s spectacular ‘organ-piping’ rock formation on Sawn Rocks walking track. Stay overnight in Dawsons Spring cabins and wake to breathtaking views over the snow gums. Walk to the summit of Mount Kaputar at sunrise or sunset, for stunning 360° views of the dramatic cliff and rock formations from the lookout. This easy walk beside a shady creek bed leads you to a spectacular rock formation - the unique, organ-pipe cliff face of Sawn Rocks and scenic views. Start your day at the Pilliga Forest Discovery Centre where you can explore the Aboriginal heritage of this ancient landscape and book a guided tour of the Sandstone Caves. In the afternoon, stroll along Sculptures in the Scrub walking track, where you’ll discover more about the traditional land of the local Gamilaroi People. Be sure to pack a tent so you can spend the night under a blanket of stars in the remote Sculptures in the Scrub campground. 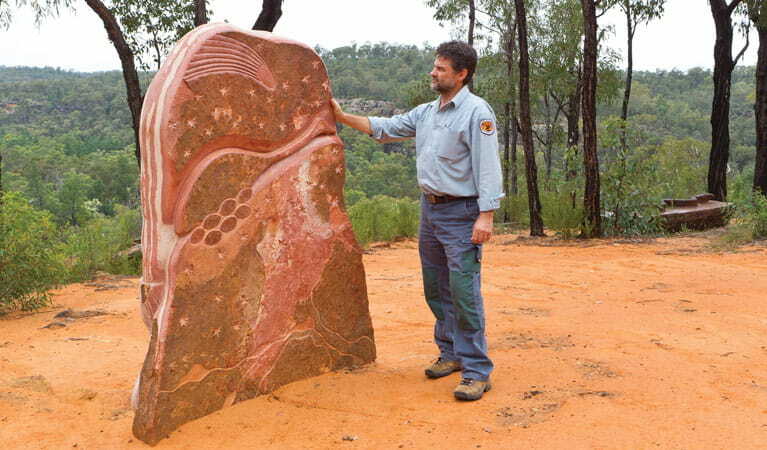 Take a short walk around the Sculptures in the Scrub in Timmallallie National Park – award-winning sculptures that celebrate Aboriginal culture and history. Camp for free at Sculptures in the Scrub picnic area and campground in Timmallallie National Park. Enjoy the Pilliga Forest and take the short walk to the sculptures and enjoy a barbecue lunch or dinner. 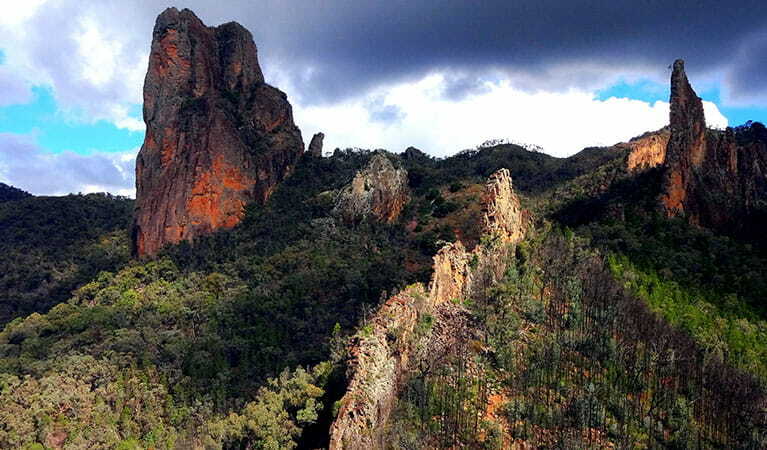 Explore the ancient, volcanic landscape of Warrumbungle National Park on Breadknife and Grand High Tops hike where you’ll be treated to awe-inspiring views. Keep your binoculars handy to spot the abundance of birdlife in the area. As the sun sets, pitch your tent at Camp Blackman and watch the stars emerge across a crystal clear sky as you settle for the night in Australia’s only Dark Sky Park. 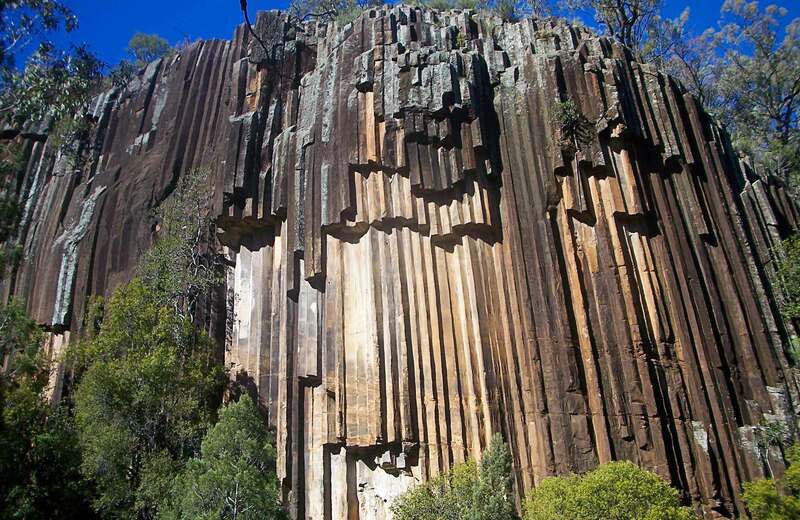 Breadknife and Grand High Tops walk in Warrumbungle National Park, regarded as one of the best walks in NSW, offers close up views of the park’s iconic rock formations. Camp Blackman is a popular base from which to explore Warrumbungle National Park. Well equipped with barbecues, picnic tables, hot showers and resident kangaroos.